Aromas and flavors: Toasted wood and grey pepper. Powerful with ripe fruit notes, raisin, chocolate, and vegetal hint. This is an iconic cognac, created in 1876. 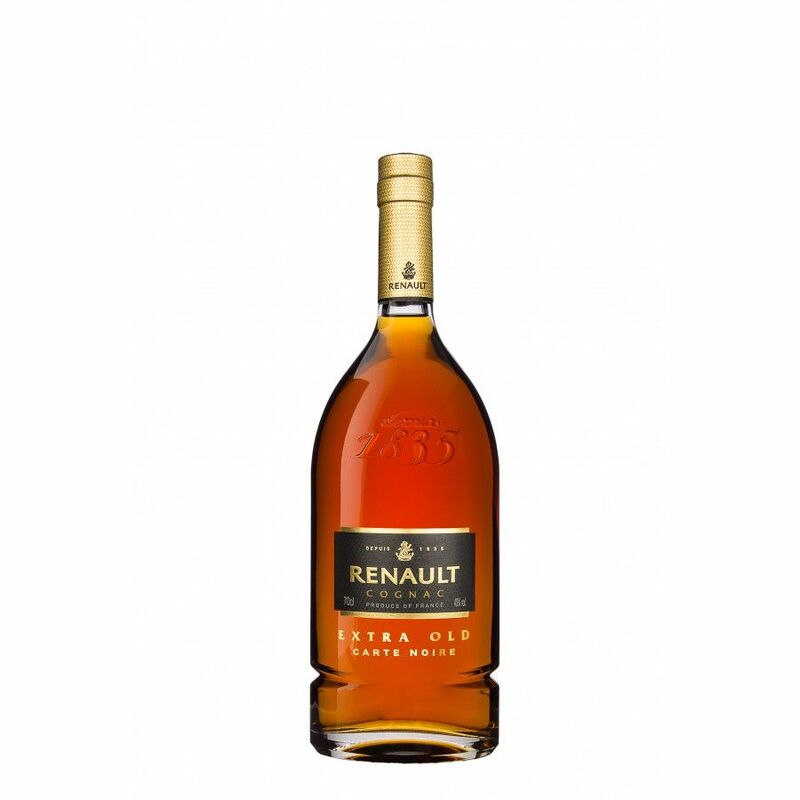 This means that the Renault Carte Noire Extra Old Cognac is one of the oldest recipies still in use today. And it's blended in the same way as it was all those centuries ago. Made from eaux-de-vie from Grande Champagne, Petite Champagne, and Fins Bois, it's carefully blended to showcase the best of what each of these terroirs has to offer. For instance, the Fine Champagne cognacs provide the roundness, smoothness, and length of finish you'd expect from the regions, whereas the Fins Bois cognacs bring fruitiness, flower tones, and a touch of spice. Renault Carte Noire Extra Old remains, thanks to the longevity of it's recipe, a reference point for quality amongst cognac connoisseurs worldwide.